Art Advantage set has everything the artist needs to become a watercolor artist and/or coloring book enthusiast in no time. Art consumers can use these pencils to sketch out a design, and then brush/blend the amazing colors for a beautiful watercolor piece. Art Advantage watercolor pencils are made with high-quality pigments. Artists achieve subtle to strong tones by blending with water. These pencils are also excellent for dry media use and dry blending. 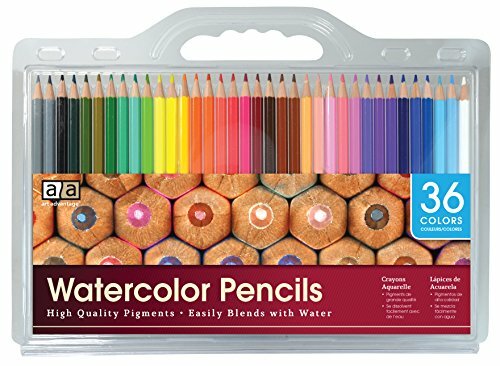 This pencil set is great product to put on your shelves for coloring book enthusiasts. View More In Painting, Drawing & Art Supplies. If you have any questions about this product by Art Advantage, contact us by completing and submitting the form below. If you are looking for a specif part number, please include it with your message. (24-Pack) Oil Paint Markers, Permanent Paint Pens for Rock Painting, Glass Painting Art Supplies - Works On Most Surfaces Rocks, Ceramic, Glass, Metal, Wood - Water Resistant with Quick Dry Ink.